R has returned hooray, all this cooking was taking its toll, I have to admit one meal did consist of crisps and wine, I am not proud of it, but well it was bound to happen. So my final dish last night was a fennel and mushroom risotto. As you know one of the very few dishes in my repertoire is butternut squash risotto, you know this because you gave me the recipe and I always cooked it for any guest that happened upon my door. This is not terribly different but it felt more autumnal which felt right. Also there was fennel involved and I love fennel. 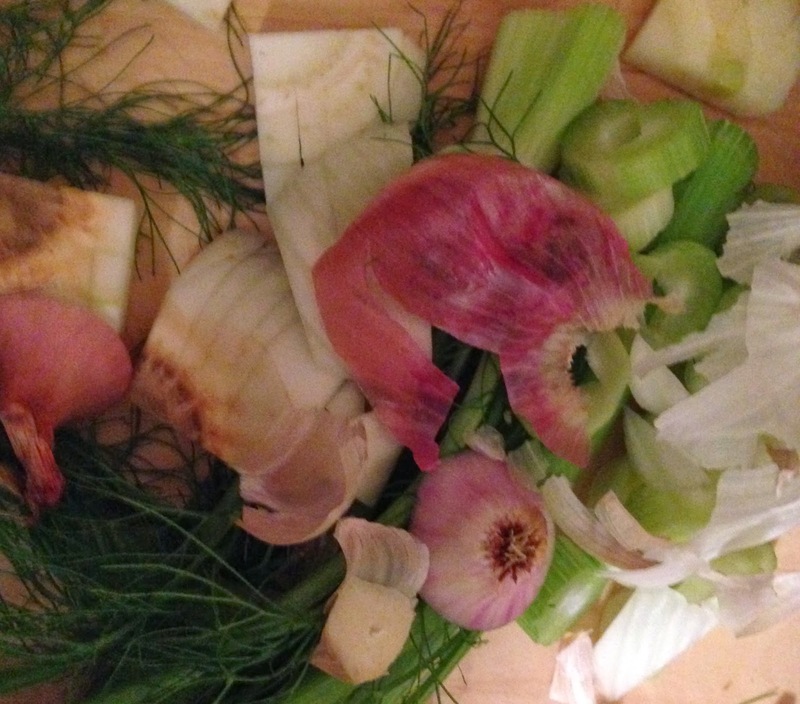 Chop the shallots and the fennel bulb into small pieces, crush 2 gloves of garlic. Put 25g of butter in a frying pan heat until melted and add the garlic, shallots and fennel. Fry at a medium heat for 10 minutes so the onions and fennel turn translucent. add a little more butter, turn the heat up a little and add the arborio rice. Cook for 5 minutes making sure to mix the rice in and coat it with the butter, stir continuously. Add the white wine and let it cook, stirring all the while. Once most of the wine has cooked through add a ladle full of stock and stir until most of it has gone, keep adding the stock a ladle at a time until the rice is cooked through. Stir continuously and make sure to never let the liquid run out. Whilst you are doing this, chop the mushrooms and crush the remaining garlic. Heat another frying pan with the remaining butter. Once the butter is melted put in the mushrooms and garlic. Cook until the mushrooms are done (about 5 - 10 minutes). Once the risotto is ready add the cooked mushrooms, some salt and pepper and mix. Serve with a few fennel greens on top. Thank goodness that is over, back to sitting drinking wine whilst watching the husband do his magic phew!